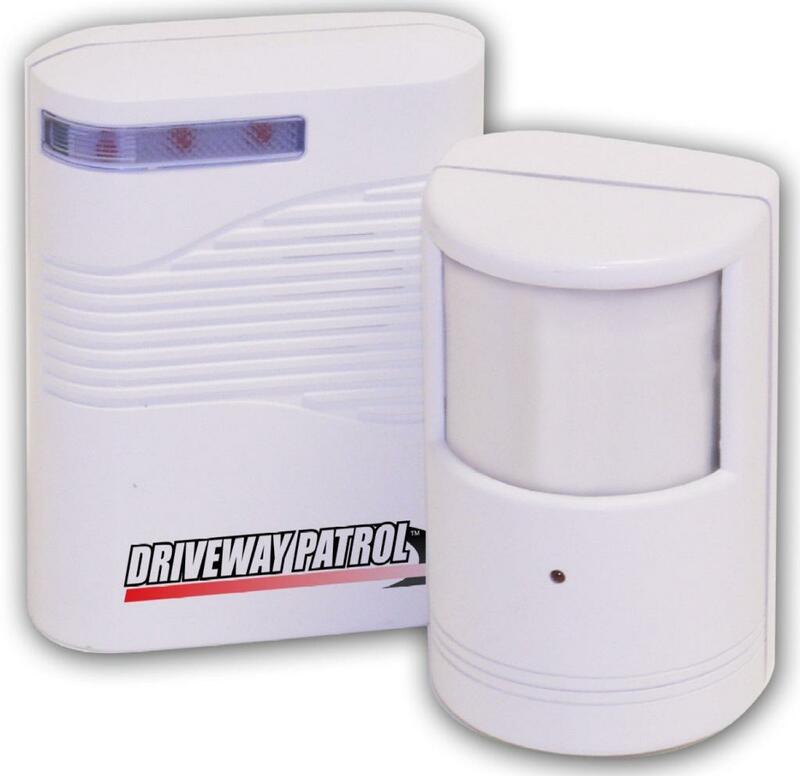 The Wireless Driveway Patrol alerts you the moment someone enters your property. 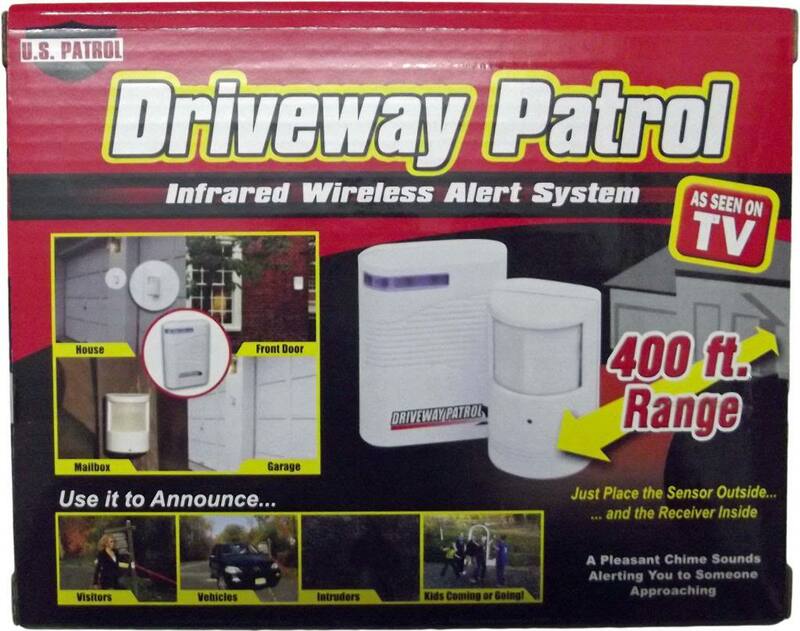 The Driveway Patrol is an "As seen on TV!" product. 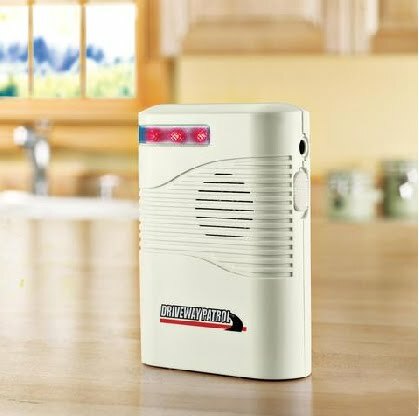 With the Driveway Patrol, you'll always have advanced notice that someone's on their way to your door. 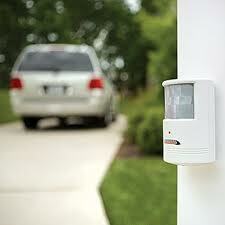 Compact, discreet motion-sensor unit installs on garage, mailbox, fencepost... nearly anywhere. And when triggered, it sends a wireless signal to the receiver unit, up to 400 feet away! When the unit's adjustable chime tells you you're about to have a visitor, you can prepare accordingly. The unit also works great for small businesses. You can be alerted when a customer arrives in your store or garage. Installs in minutes, no tools needed; Completely wireless; Alerts you to visitors, trespassers, deliveries and more; Sensor is extremely weather resistant. The transmitter requires one 9 volt battery that is not included. The receiver requires either 3 "C" batteries that are not included or a 4.5 volt adapter that is not included. 3 Settings: high, low, and off. Sensor range: 20 degrees at 30ft. No tools or wires needed.